Frequently Asked Questions Regarding Massachusetts Car Accidents. Cars are now an integral part of our daily lives. 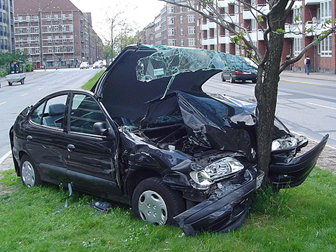 While we don’t take much time to think about it, cars accidents happen far too frequently. Negligent drivers can make our everyday activities—such as commuting to and from work and running errands—very dangerous. If you have been in a car accident, your first priority is to get better. If you’ve been injured, seek medical attention right away. If you later choose to pursue a legal action, you may have some questions about the legal process and your potential personal injury claim. While there is a guide below to help you get answers for frequently asked questions, the best way to get full and complete answers is to call our expert Boston law office. With over 25 years of experience, our personal injury attorney experts have been successful in obtaining millions of dollars for our injured clients. We are nationally recognized experts. Call us at 617-787-3700, 24/7, or email info@gilhoylaw.com to receive a free and confidential consultation. 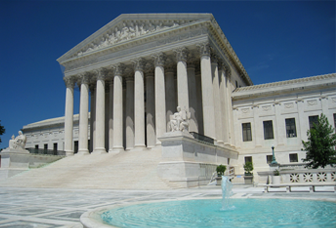 We are the experienced and skilled legal team you want to protect all of your rights. Your needs are our top priority! 1. What is a Massachusetts auto accident personal injury claim? An auto accident claim involves an injury to a person that can be shown to be the result of another person or entity’s negligence, wrongdoing or intentional act regarding the operation of a motor vehicle. To be successful in bringing your claim, certain requirements must be met. One of these elements is a showing that you sustained injuries as a result of another person’s negligence. To show negligence, two requirements initially must be met: (1) the other driver must be shown to have owed a duty of care to you; and (2) the other driver must be proven to have breached that duty of care. A driver of an automobile has a duty to exercise reasonable care while driving his or her vehicle. If the driver fails to exercise reasonable care by not abiding by the Massachusetts rules of the road, for example, and thereby causes an accident, that person may be found to be negligent. A personal injury claim also requires a showing of what is called “causation.” That is, the other person’s actions must have caused your injuries. Finally, a personal injury claim requires proof of damages. These damages can be physical, economic and/or emotional. 2. How do I know if my Massachusetts car accident injury claim is a good one? To have a successful claim, you must be able to prove all of the elements listed above—namely negligence, causation and damages. These requirements are fairly technical, and are given careful consideration by judges and juries. For example, the “causation” requirement of an injury claim is made up of additional elements; sometimes it can be difficult to show that the others person’s actions actually caused your injuries, and that your injuries weren’t the result of an act of God, such as extreme weather conditions. An experienced attorney will be able to evaluate your case for you, and will be able to tell you roughly what your chances may be of being successful. No case is ever a guarantee, but the circumstances of some cases are more favorable for a monetary recovery than others. The right attorney will be honest with you, and tell you whether or not you have a good case. 3. How do I determine the value of my car accident injury claim? Determining the value of your claim is a complicated process. It involves a number of different factors, and is usually impossible to assess completely at the very beginning of a case. The calculation includes an understanding of all of your medical bills, lost wages, other lost benefits, your injuries, and the nature of your involvement in the accident, among others. 4. 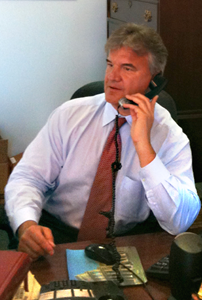 At what point should I contact an auto accident attorney or a wrongful death lawyer? While medical concerns are most important after an accident, contacting an attorney as soon as possible is very advantageous. There are time limits that can prevent you from bringing your claim. Additionally, you don’t want to accidentally do something to hurt your chances of recovering damages in the future. The right attorney will be able to help you avoid these mistakes, and also help you to collect and preserve key evidence. 5. Do I really need a lawyer? The fact of the matter is that insurance companies act in their own best interests, and they’re not looking out for your best financial interests. While that’s unfortunate, it is a reality. A lawyer is not only looking out for your financial interests, but he or she can also help to navigate your case through the complicated legal process. Proving a case, especially to its maximum financial value, is a difficult thing to do. 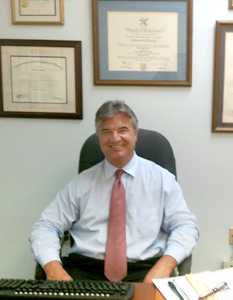 An expert lawyer can prove to be invaluable in obtaining your maximum justified financial compensation. 6. How much will a lawyer cost me? Your initial case consultation and evaluation is free. And after that, there is no out-of-pocket costs to you either, unless you win! 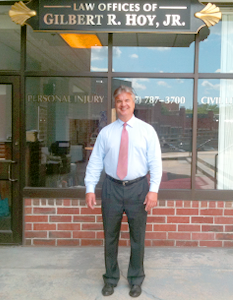 Our law office receives a one-third contingent fee based on the money we recover for your injuries. So, we only get paid if you get paid. While parts of your case preparation may cost some money, such as fees to obtain your medical records or paying the sheriff’s department to serve documents, these costs generally only account for a small amount, in comparison to the total settlement amount of your personal injury claim. 7. Is there a time limit to bring my case? There is. Every state, including Massachusetts, has a statute of limitations or time limit for settling or filing your case in court. This statute dictates how long you have to act. If you’re past the specified time limit, unfortunately you will not be able to pursue your car accident injury claim at all. 8. Should I talk to insurance companies if they contact me? No, generally not. You should not talk to the other driver’s insurance company under any circumstances. In talking to an insurance company, you may inadvertently hurt your case. You should contact an attorney before talking to your own insurance company. An attorney will contact the insurance company on your behalf, so you can focus on recovering from your injuries, and let an expert do the talking for you! 9. How long will it take to get money from the insurance company? This can be a difficult question to answer. There are many factors to consider when evaluating how long it will take to be paid. An insurance company will often fight your claim, and argue that they are not responsible for paying your claim. Under such circumstances, it can take a while to make sure you’re paid the full amount you justly deserve. 10. How will my medical bills get paid? Unfortunately, medical bills in auto accidents can be astronomical. Serious injuries can require intensive care and extensive stays in the hospital. In addition, physical therapy and continuous medical treatment is often required to recover from an auto accident. If you are injured and it is someone else’s fault, chances are that most, if not all, of your medical bills will be paid by the various types of insurance that are available. However, in many cases, insurance companies don’t seek out the bills they are responsible to pay, and it may take them a long time to pay you. Having the right attorney on your side, who will negotiate with the insurance companies and make sure you get the right amount of money you deserve to pay for your medical bills and other injuries, is an important first step in getting through a trying time.